In his best-selling book, ‘The Paradox of Choice’, psychologist Barry Schwarz argues that the process of making decisions requires such effort that diminishing the set of options consumers have makes them happier. The idea found empirical support in economist Dan Arieli’s behavioural experiment; he found that 40% of shoppers presented with a choice of 6 jams sampled them, and 30% of those eventually made a purchase; in contrast, a collection of 20 jams attracted 60% of shoppers with a mere 3% buying a jar. Analogously, deciding between competing ideas is hard work, and subscribing to an ideology reduces the instances where decisions need to be made. Thinking is hard. According to professor of psychology Daniel Willingham, the brain avoids it at all costs. When one is prompted to make a choice, adopting an ideological lens can however spare considerable cognitive effort in providing ready answers to a wealth of questions. This economy of effort however comes at a price. Individuals still expend effort, but now the effort is directed towards defending the chosen ideology. Philosopher of science Karl Popper would not have emphasized the need to strive to refute one’s theory if the natural tendency was not to defend them. I argue that this requires less cognitive resources since defending a position is emotional work, something for which the brain need not draw resources, unlike when dispassionate critical thought is exercised. The bundling of many issues under a single ideological banner is a way of saving the effort of considering the merits and cons of each issue in isolation. However, by the mere fact of bundling issues, an ideology is unlikely to capture the nuances of reality. For instance, a stereotypical anarchist believes that all state institutions are undesirable. So by subscribing to this ideology, one’s position on issues reduces to a simple question: does this require the erection of such institutions? If the answer is yes then the policy must be undesirable. In short, ideologies render decision making easy, but at the expense of accuracy. Dealing with as nebulous a concept as ‘ideology’ is likely to engender some confusion. It is used here as one’s ‘world view’ rather than their personal philosophy. Indeed, the a personal philosophy rarely strives to explain external phenomena but is satisfied with attaining a working relationship with the world. Ideologies, in this sense, provide, for the perplexed, a complete description of how a sphere of the world works. The distinction between those who subscribe to an ideology and those who don’t is that for the latter, there isn’t a singular narrative that completely explains a particular issue. The characteristic of ideologies on which this essay focuses is the rigidity that an ideology imposes on its adherents when forcing them to adopt all its explanations and prescriptions bar none. The complexity of political and economic matters makes these spheres fertile grounds for ideologies to grow. In matters of public interest, the rigidity of ideologies, and the uncritical acclaim their adherents are ready to supply renders them inappropriate in a sphere where pragmatism is best: history abounds with examples of the unequivocal failure of ideological dogmatism on both sides of the spectrum – from Maoist China to the World Bank and IMF’s structural adjustment programs. These were economic policies prescribed to developing countries as a condition for their gaining access to IMF funds. The latter example is particularly illustrative of the complacency of ideologues: the policies that were advocated ignored the specificities of the countries in which they were applied. In fact, when evidence of the failure of these policies began accumulating in the academic literature, their defenders adopted a position described by critic Ha-Joon Chang as ‘anything but [the prescribed] policy’ since they blamed the failure of their programs on everything from local culture and geography, to the local political institutions, but never the policies themselves. Another example of the pervasiveness of ideological dogmatism is the assumed link between good economic performance and democratic governance. Indeed, evidence on the relative performance of dictatorships and democracies lends no support to that position. Despite this being the case, the question ‘what system of government is optimal for society?’ is usually summarily answered by ‘democracy, of course!’. Still in the political economic arena, one’s position on government intervention in the economy is an easy target for ideologies. In reality, some instances of government intervention prove beneficial, others prove disastrous, and the only reasonable position to take would be one that assessed each intervention on its merits. This would be too taxing and hence the debate is polarized with each side defending extreme, antagonistic versions of the reality. The absence of a meaningful political debate in the US is a case in point. Uncertainty undermines one’s confidence in a choice and makes it difficult to arrive at any certain conclusions; it thus provides a compelling reason for the mind to spare itself some effort by resorting to an ideology. Take one of the most uncertain subjects: the existence of a god. Present knowledge cannot supply a conclusive answer to this question; the door is hence wide open for ideologies to step in. In this case, they take the form of various religious traditions that claim to know the answers to unanswerable questions. Even atheism is dogmatic in its absolute rejection of the possibility of a god’s existence – dogmatic because it takes a certain position in the absence of incontrovertible evidence. If one were to take the present knowledge as the only criterion with which to reach a conclusion on this question then a position of agnosticism would be the only consistent one. Understandably however, because of the nature of question and the repercussions of the answer, this position is unattractive for a large proportion of humanity. Whenever one arrives at a position on a particular issue, this position is dependent on the information available as well as the environment in which the decision was made. The appropriate position is likely to change as the information available changes. We could expect one’s position to be updated as new information accumulates. Ideologies, however, are not nimble: they pin down positions on issues that are subject to change over time yet forbid any deviation. Religions are notorious for making claims of sempiternity; coupled with their claims of divine providence, religions regularly find themselves having to reconcile the two. Rulings that were progressive centuries ago begin to look dated, misguided, and out of place in contemporary society. We witness their reform only when these positions become absolutely irreconcilable with the facts. The claim that ideologies, such as religions, provide unchanging positions for their adherents appears to be challenged by the continual reinterpretation and reinvention of religion observable throughout history. The lazy minds’ demand for answers leaves plenty of room for a power structure to be erected as an institution providing and guarding the ideological apparatus. The source of this power is the need for comforting, readily available answers, rather than a taste for righteousness and truth. Change only occurs when the credibility of this power is challenged, or when demand for answers has created enough room for another structure to squeeze in. The reformation is one example of a sudden change, but incremental reforms occur much more regularly. The modern church has undergone reforms on issues such as its attitudes towards slavery, contraception and the ordaining of gay and female bishops. It may seem to be a contradiction to the claim that ideologies provide certainty in an uncertain world if religious ideologies are constantly in a state of reform and renewal; however, for the individual adherent, this process is too gradual to pose any threat to the certainty provided by their belief. Although adopting a historical perspective allows us to see that religions are fluid, from the point of view of a worshiper they are unchanging and hence provide the required constancy. This preference for certainty is not limited to issues of a metaphysical nature. In the examples above, which system of government is ideal is another question where an equivocal answer is unsatisfactory. It would be difficult to maintain a position that democracy is good sometimes and not so good in other times, even though in reality this position is closer to the truth. My previous column, ‘Is democracy overrated?’, explores this question more fully. Ideological dogmatism is however not a symptom of unsophisticated or indolent thought. In fact, some of the most intellectually capable people held deep ideological convictions. Milton Friedman, who was awarded the Nobel Prize in economics in 1976: a testament to the deluge of academic research that he produced and inspired, zealously believed in the superiority of markets. In fact, in parallel to a distinguished academic career, Friedman devoted much energy to activism, authoring several books including ‘Capitalism and Freedom’ promoting the ideas he was so convinced were correct. More recently, Nobel Prize winning economists Joseph Stiglitz (2001) and Paul Krugman (2008) have both demonstrated ideological predispositions, perhaps more tempered than Friedman’s but nevertheless pronounced. Both occupy camps critical to Friedman’s view of markets; a fact that may shock, for example, adherents of the ideology that views the economics profession as a throng of market fundamentalists. Stiglitz’s academic work focused on cases where the market failed to deliver the promised benefits that Friedman touted. 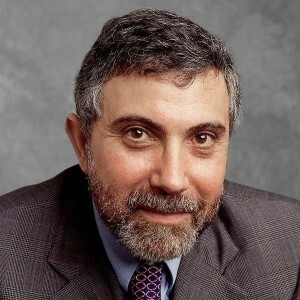 Krugman’s preference for government intervention in markets was recently demonstrated when, in his regular New York Times column, he ascribed the failure of the US government’s economic stimulus bill to its limited size; refusing to consider, as other commentators have, that the policy of a government stimulus itself was questionable. Ideology robs its adherents of the ability to consider issues objectively. However, it is incredibly effective at mobilizing collective action. Dogmatic commitment to a position makes compromises unlikely and sacrifice easier to justify. Convinced that democracy is the best form of government, individuals are more likely to risk their lives by participating in demonstrations against a perceived threat to democratic institutions. One needs to be deeply convinced of the righteousness of their position to act on their beliefs. This explains the presence of extreme opinion in public demonstrations and rallies. People who value the issue strongly will be more likely to participate in demonstrations despite their incurring a cost, which maybe non-monetary, in doing so. If one were aware of the nuances of a particular issue, they would be less likely to believe in the absolute truth of whichever positions were being taken on said issue. We would expect, therefore, dogmatic commitment to a particular position to diminish as an individual’s appreciation of the intricacies of the debate increases. In essence, if you believe “the Obama administration is setting up panels that will sentence the elderly to death”, you’ll join the demonstration against health care reform; if you think that “although it is lamentable that a large number of Americans don’t have access to healthcare, government intervention in the form of the current version of the bill being debated in the Senate is heavy handed and is unlikely to help the fiscal situation”, you will most likely stay at home. One could argue that ideology and extremism are being conflated here, but this would be missing the point. Consider a ‘moderationist’ ideology, whose adherents believe that moderation in everything is the best practice – then this ideology is extreme in it’s promotion of moderation. The mobilizing power of ideology can be wielded to achieve remarkable feats, as well as reprehensible ones. Speaking on the subject, Harvard professor Amartya Sen pointed out that had the slogan of the French revolution been ‘enhanced liberty, less inequality, and somewhat greater cultivation of fraternity’ the Bastilles would not have been stormed. It is demonstrated time and time again that life is complex and that the closer we want to get to ‘the truth’ the more we have to wade through the grey areas and away from the extreme and clear-cut. An ideology therefore is a hurdle in the effort to achieve a nuanced understanding of issues since it restricts its adherent to an extreme position that is, in most cases, far from ‘the truth’. What makes ideologies extreme by definition is not so much the positions they take but rather their claim of general validity. It is no doubt true that, in some spheres of economic life, the free market sometimes yields a desirable outcome, but claiming that this is true in every case is extreme. By this token, the position of adopting a non-ideological position on every issue could also be characterized as ideological. In other words, you’d be back where you started. Very well done. My hackles immediately rose when I read the title but within the first paragraph you had me.